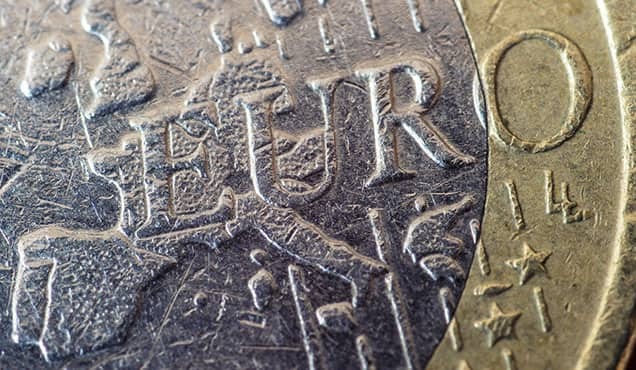 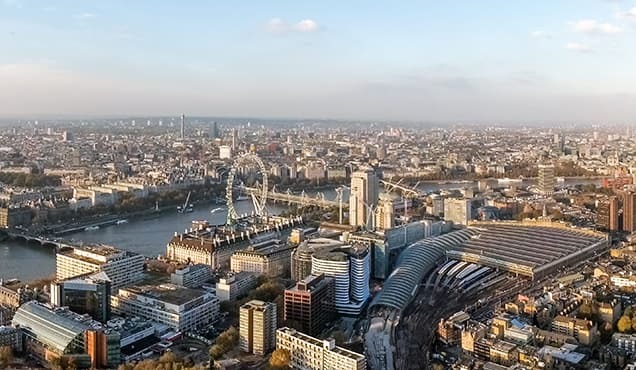 UK households reported one of the steepest deteriorations in their finances for three years in May, largely as a result of rising inflation. 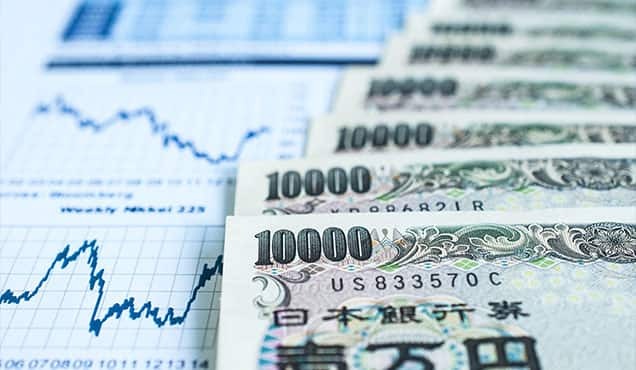 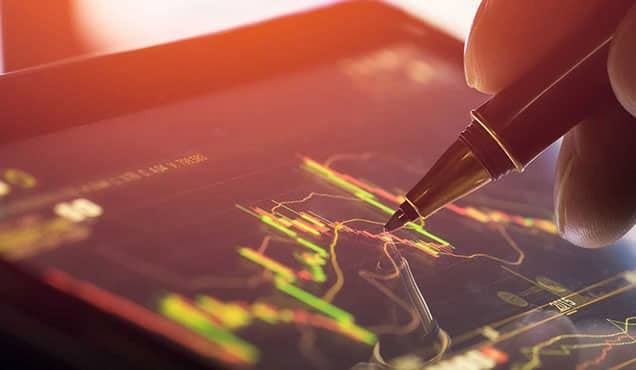 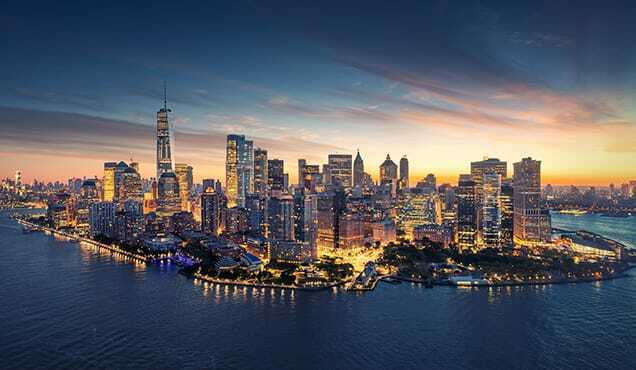 IHS Markit's Household Finance Index, the first consumer survey available each month, showed current finances worsening to the greatest extent since July 2014 with the sole exception of the decline seen in May of last year. 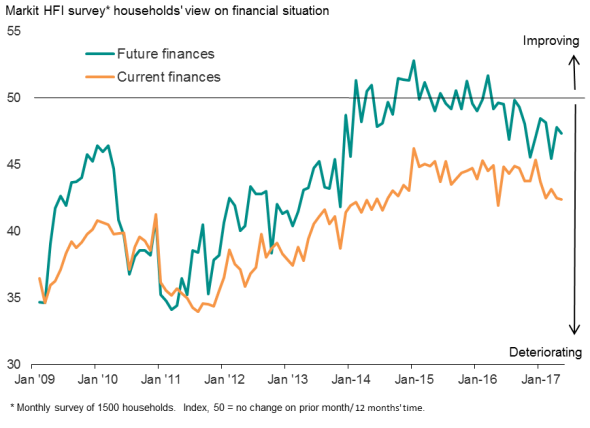 Views on future finances also took a renewed downward lurch, resuming a worsening trend that has been evident over the past year. 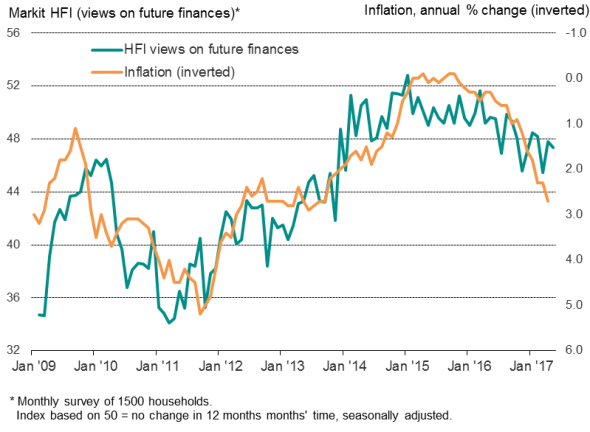 The increased pessimism about finances has coincided with higher inflation. 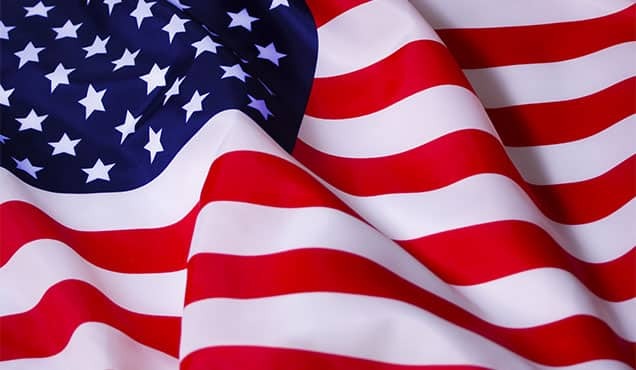 Consumer prices rose 2.7% on a year ago in April, the steepest rate of increase for three-and-a-half years. 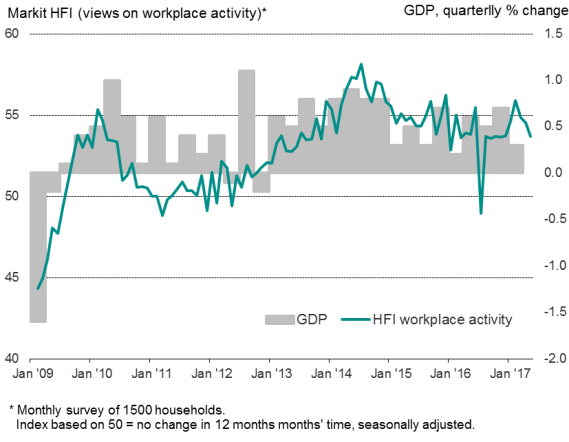 The HFI survey has since shown current inflation perceptions and expectations about future inflation remaining elevated in May, albeit easing slightly compared to April. 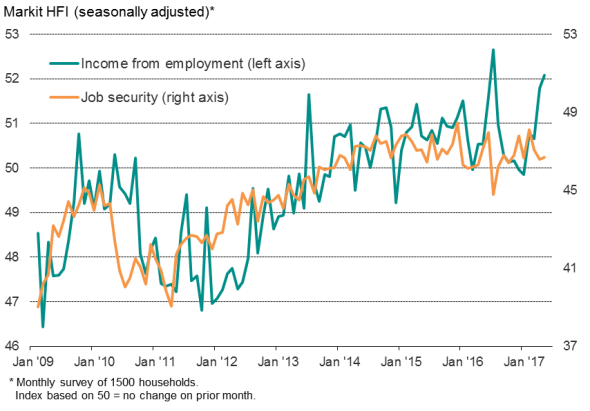 The squeeze on household budgets has been alleviated somewhat by rising income from employment, which showed one of the largest gains in the survey history in May, in part reflecting increased workplace activity (suggesting more hours worked). 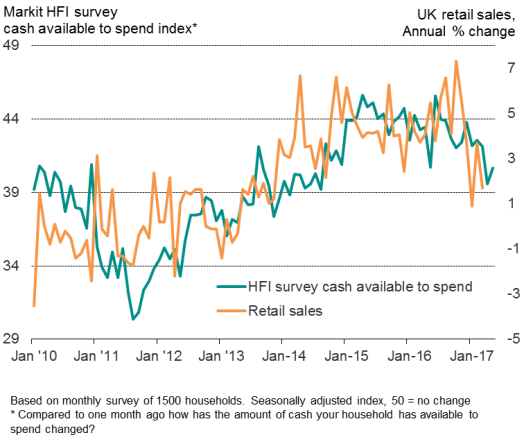 However, a further marked drop in the amount of cash that households have available to spend suggests that growth of retail sales and other measures of consumption will continue to be limited in coming months.